CHANGE is Bridge Builders at its most intense. At this level, a small number of highly engaged, dedicated youth are trained to lead profound positive change in our community by organizing youth and influencing leaders and policy. Through a program starting in late July and ending in mid-May, CHANGE youth actively lead a year-long community action project around the issue(s) of their choice. 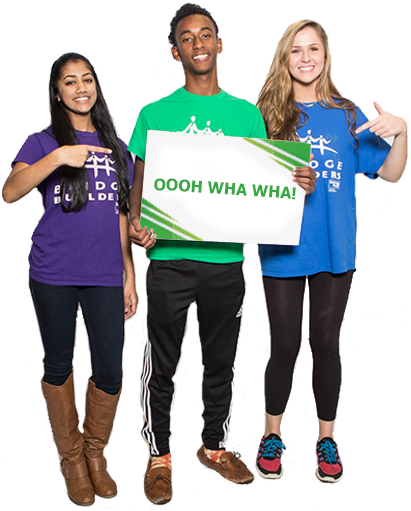 Bridge Builders CHANGE is open to any student, grades 8-12 (minimum age of 14) currently enrolled and on-track to complete Bridge Builders COLLABORATE. Youth, apply now for a 2019-20 CHANGE Fellowship!